Mr William Lockhart was a Master Baker. The Lockhart family were well-known bakers in Strathendrick. 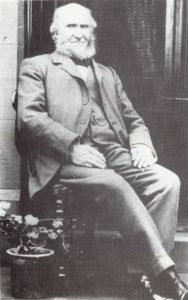 William Lockhart started his bakery in 1860. Vans made deliveries daily to Aberfoyle, Gartmore, Buchlyvie, Killearn and Fintry. Their shortbread was famous, being dispatched in tins all over the world. They made wedding cakes for all the large weddings in the area. There was a break of a few years before his son, Malcolm, took over the business in 1922, which the Lockhart family carried on until 1936.